Ah, the day after Christmas. 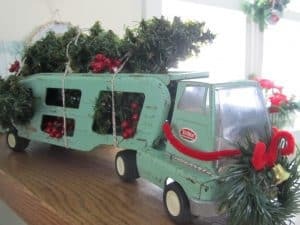 The bathrooms are clean, the frig is clean and full of leftovers, the kids are lounging in their new comfy clothes, playing with their Christmas gifts. All is quiet and calm. Memories of 5 different Christmas Eve services ending in Silent Night, and a fresh Christmas Eve snowfall make me smile. Toddlers opening presents little piece by little piece, and the surprised look of my youngest teenager as he opens his first smartphone! 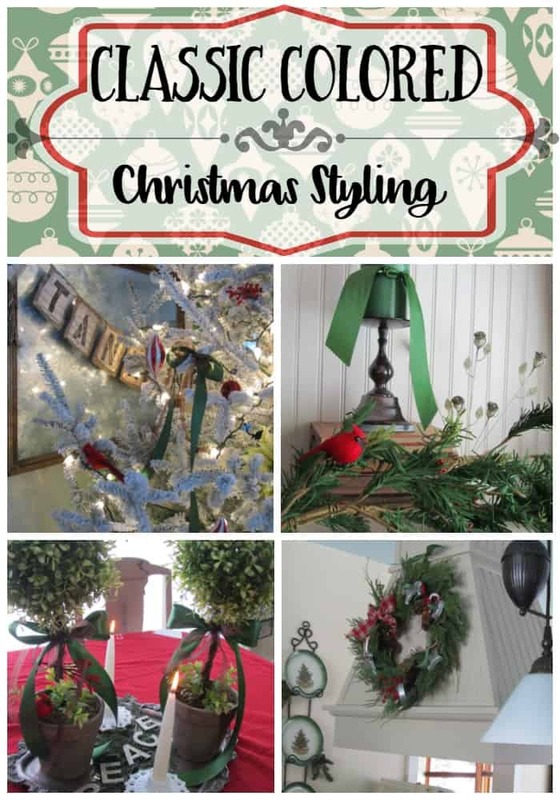 I informed my kids that NOTHING was to be accomplished today, so I’ve been enjoying all kinds of beautiful blogdom Christmas house tours. I asked myself why my house never gets photographed and blogged by the second week of December…oh yea…I have a store. 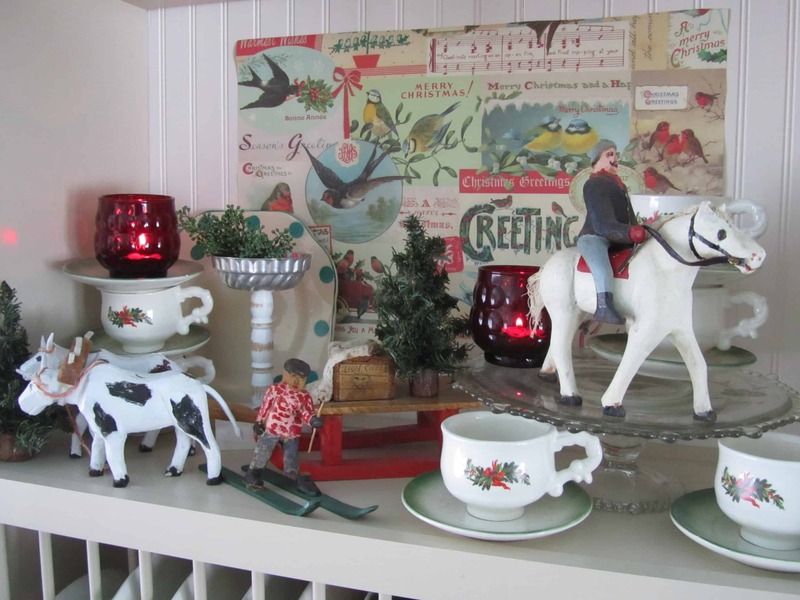 And so, once again…here’s my house for your after Christmas pleasure…because does anyone have time to sit and relax before Christmas anyway?? 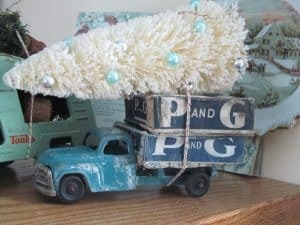 Red is not my color of choice for decorating my home, but this year the applique’ bedspread that Mr. Freckles was not appreciating on his bed became my decorating inspiration. 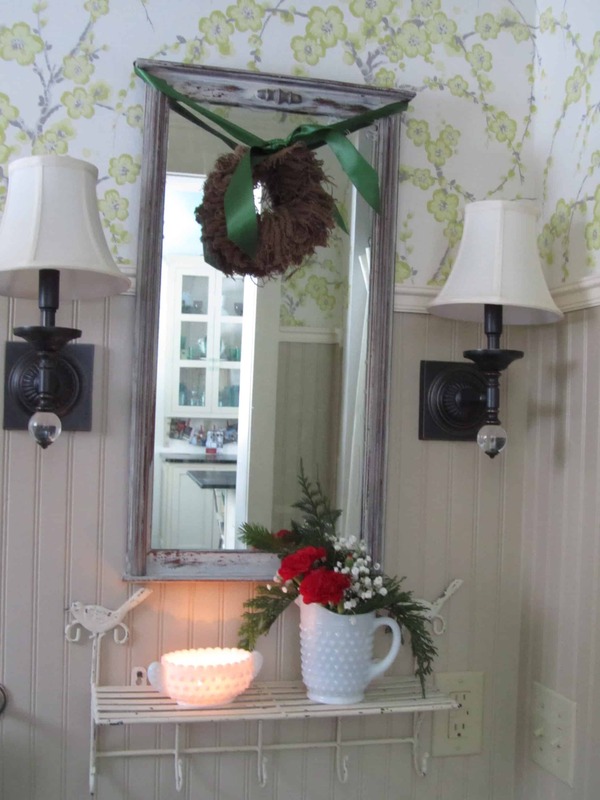 Classic red, white, and green filled my mainfloor. 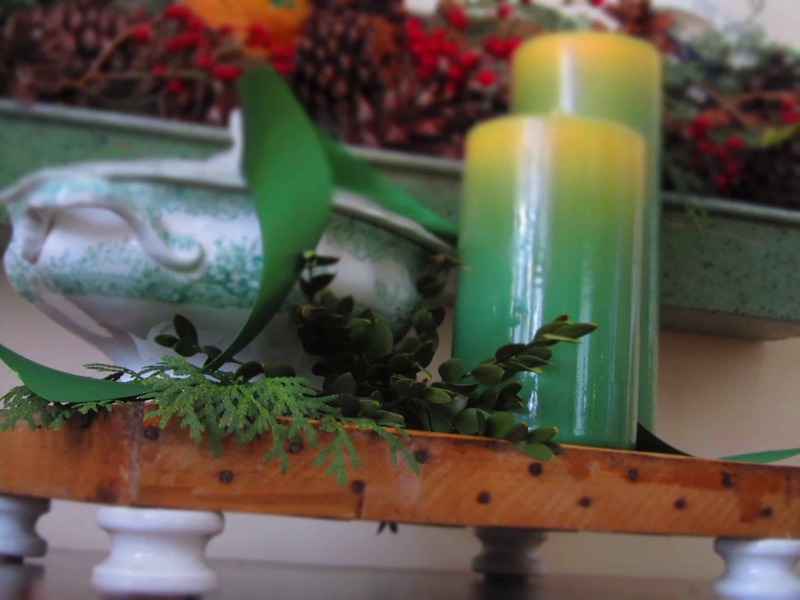 Ribbon is usually my starting point, and I found this beautiful leaf green satin ribbon and matching pillar candles, along with some chocolate brown sheer ribbon at the floral wholesaler. 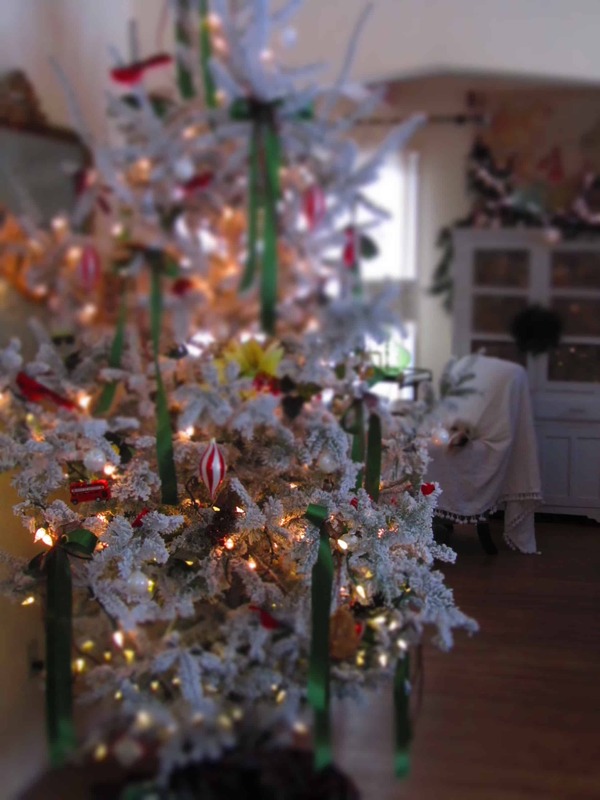 We swapped rooms and brought the dining table in the kitchen, so we could have more room in the dining room for the tree and some comfy chairs to gaze at it. I also was ready to enjoy eating at a real kitchen table right next to the outside. 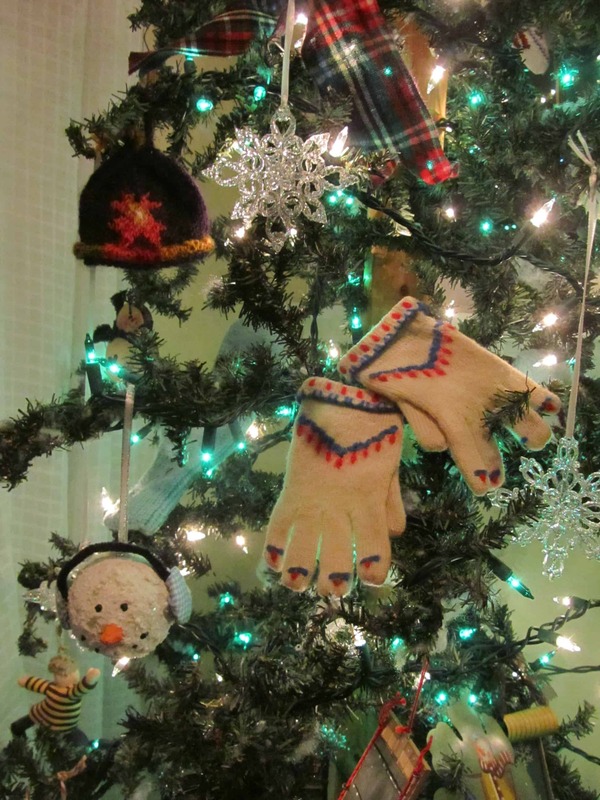 Instead of my usual vintage aqua shiny brite balls, icy nests and birds on my kitchen tree, I decorated the tree with all things winter: snowmen, snowflakes, mittens, sleds and shovels. 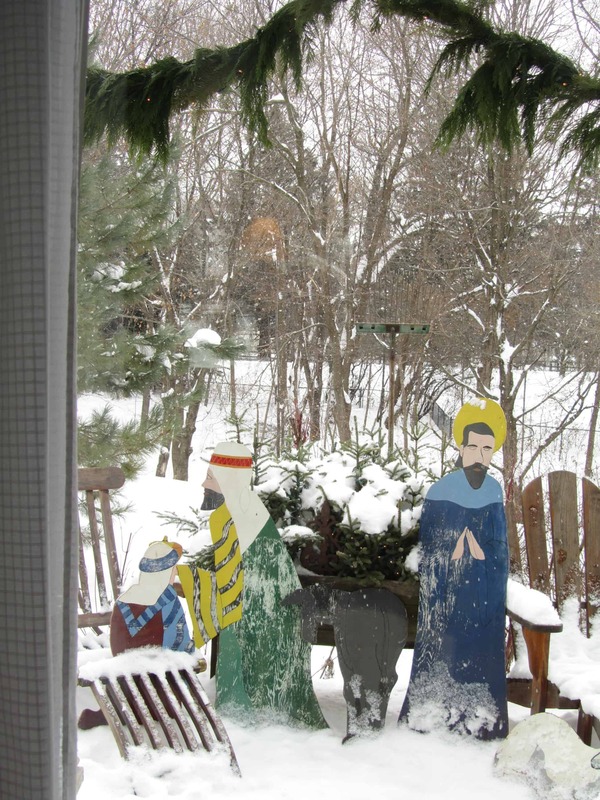 My dad’s handcrafted manger scene characters decorated the deck. 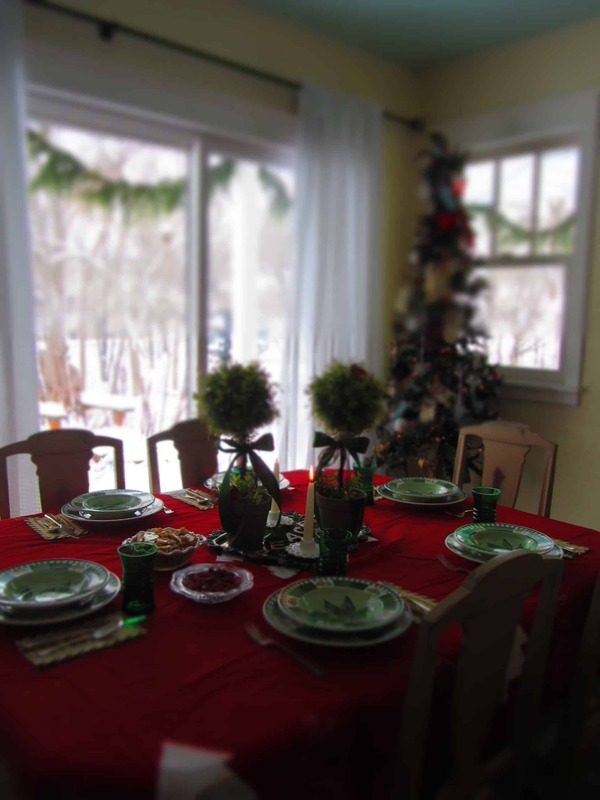 There were 14 of us Christmas day, so we spread out…the table, the island, and the comfy chairs in the dining room. 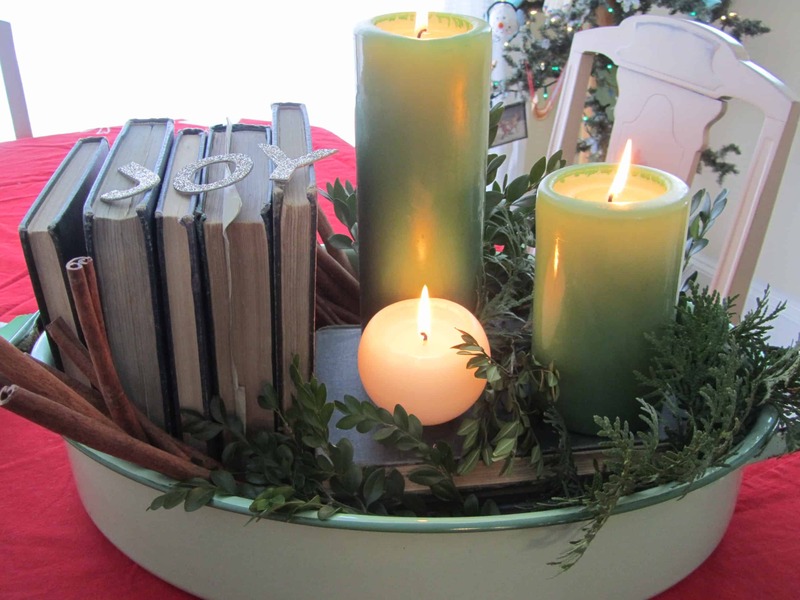 My centerpieces were simple and classic: candles, ribbon, greens, books, and glittery words. 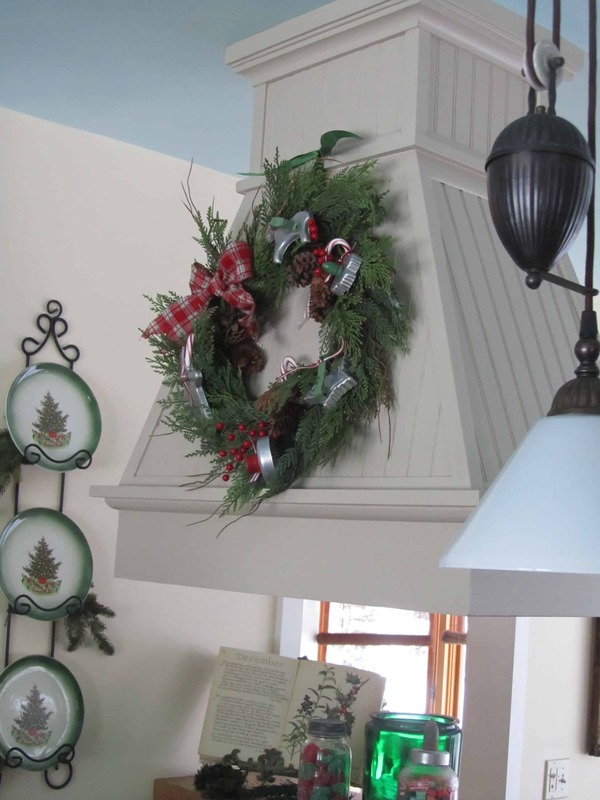 The kitchen is always my favorite place to decorate, because it’s where we spend most of our time! Vintage trucks, vintage cookie cutters, and family heirloom carved wood pieces took center stage. 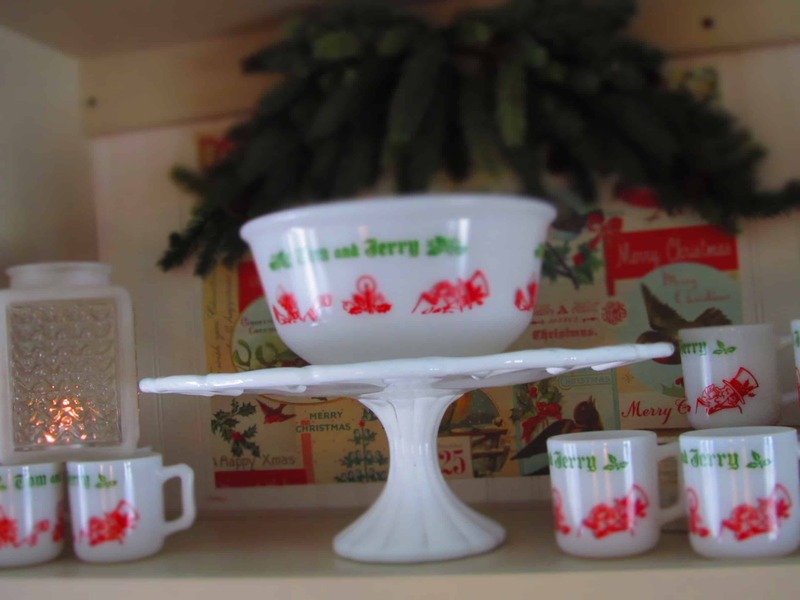 In my glass cupboards, sets of red and green glasses, along with milkglass and clear cake plates seemed restful and simple. 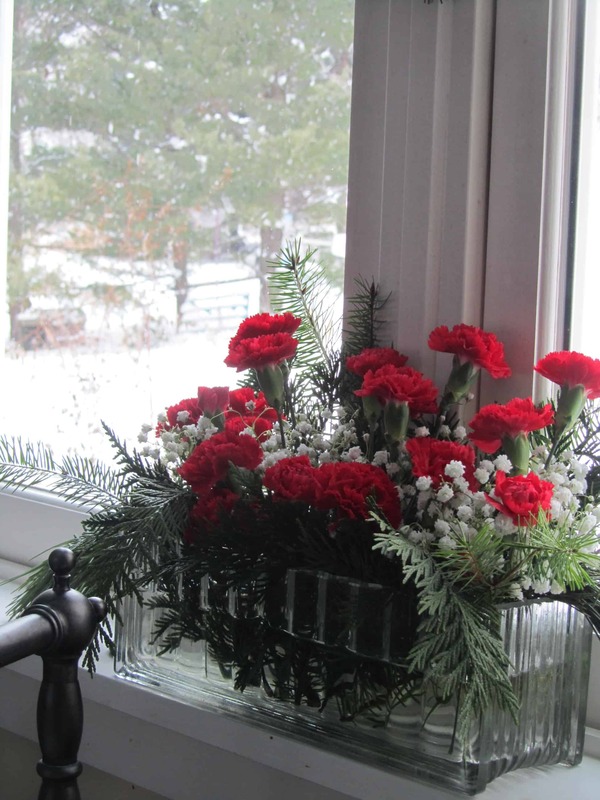 I picked up 3 packages of fresh florals from the grocery store: winter greens, white baby’s breath, and red carnations. I arranged them in milkglass and glass containers and sprinkled them throughout the house…over the sink, in the bathrooms, on side tables in the living room. Fresh florals=instant party! 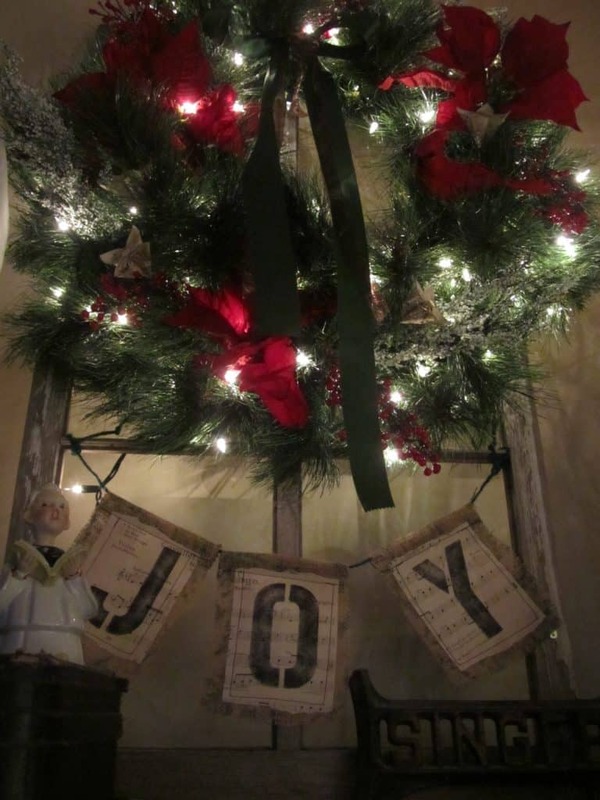 The living room got more classic red, green and white, and I enjoyed my stenciled, burlap letters from last year. 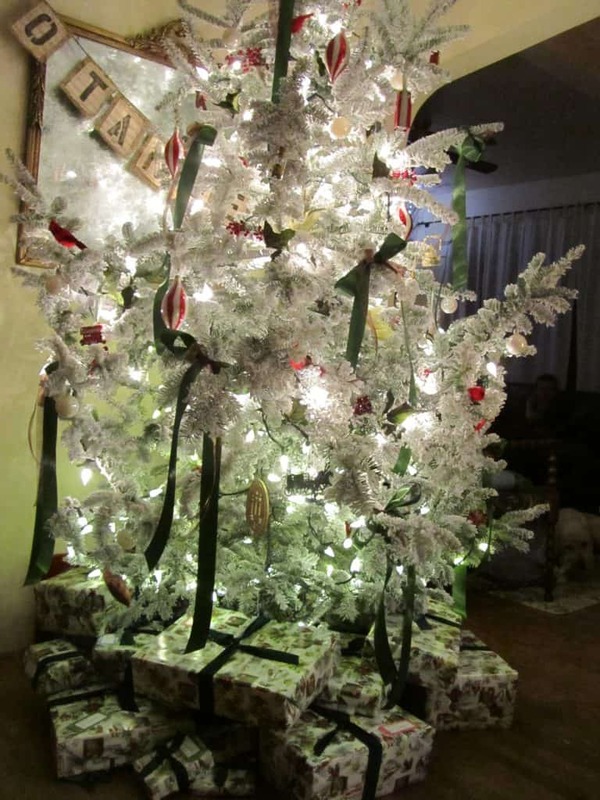 And oh how that beautiful, flocked tree absolutely glowed at night! 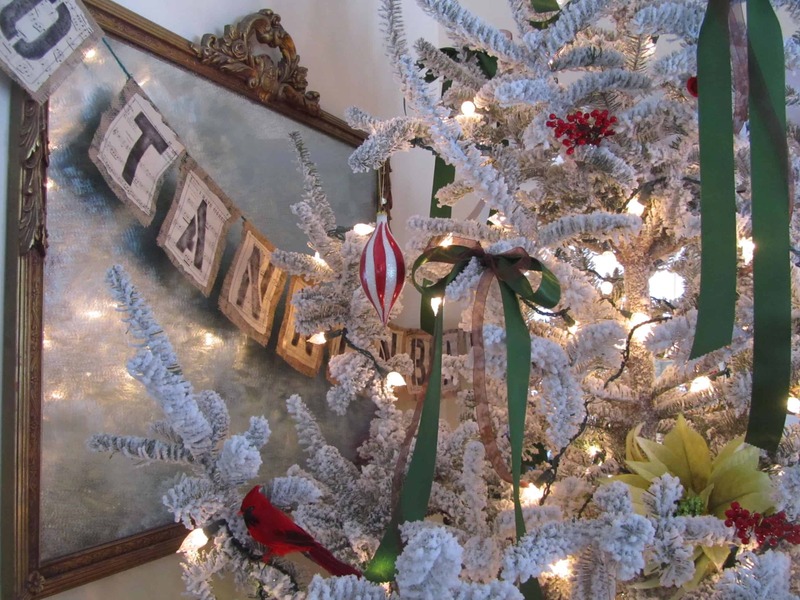 I sprayed my Grandma’s antique mirror with Crystal Frost, and it reflected the lights and beauty of the tree, adorned with red cardinals, the green, satiny ribbon, and ornaments from trips we’ve taken. 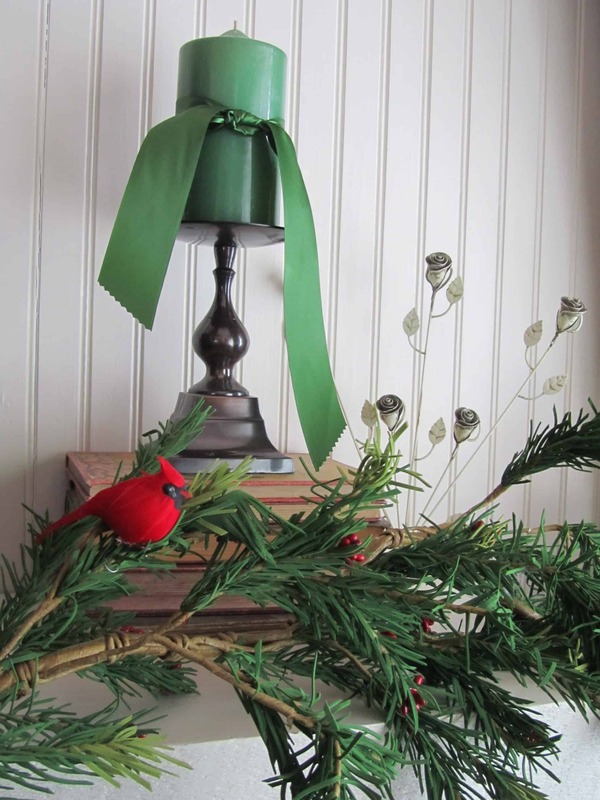 The presents were all wrapped with a vintage-looking wrapping paper and velvet green ribbon. 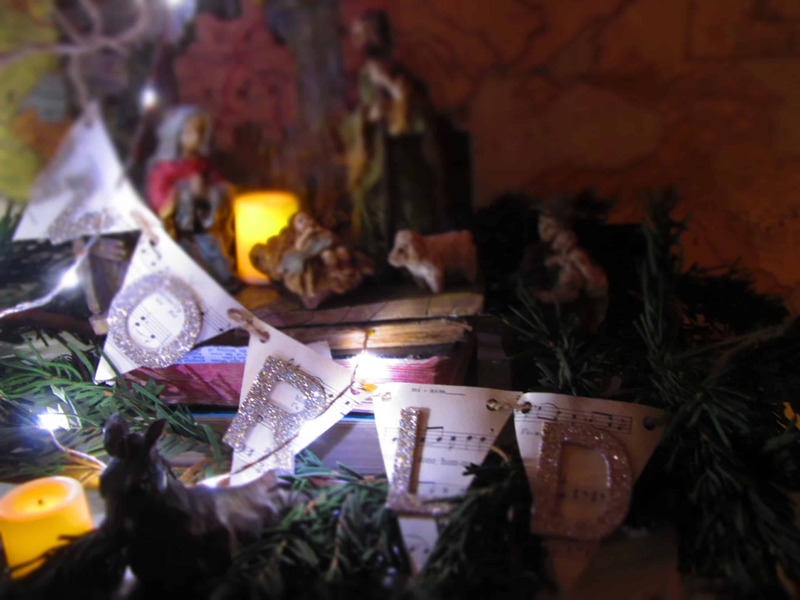 Instead of my usual milkglass on top of my vintage, white cupboard, our manger scene and some recent acquisitions (a beautiful map, and an old globe), got treated to lights and some pennants announcing the “Light of the World”. 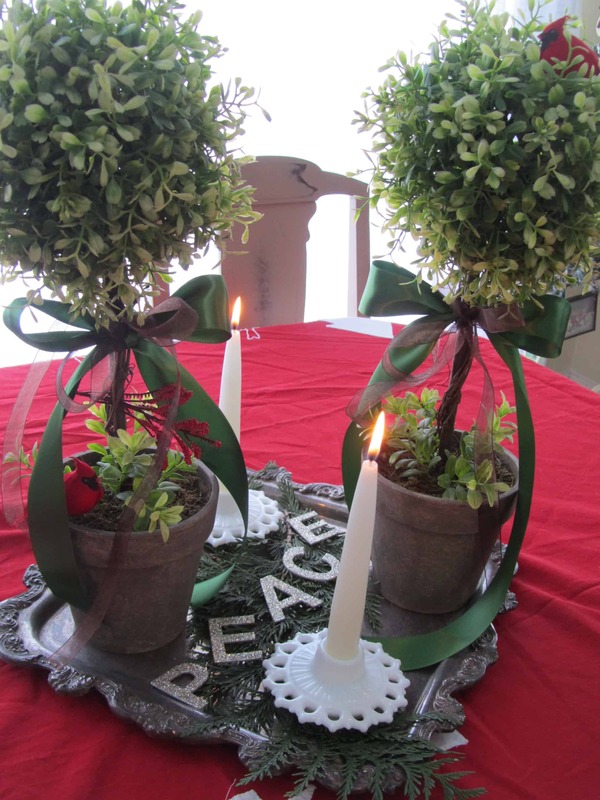 Hope your Christmas was filled with beauty and meaning, and that you can enjoy some quiet and relaxation with family and friends, or just alone! LOVE, the Tom and Jerry set! We had the same one growing up. Would you possibly be from the Mid West too?